In the past, I’ve only ever installed white grout — on my bathroom and kitchen floors in my first house, as well as the kitchen backsplash in both my first and current house. All of the floor and wall tiles in every place that I’ve lived over the years have always had white grout. Here’s the thing about white grout though — it shows dirt so quickly — especially on floors. When first starting to plan my bathroom remodel, Pam bestowed her bits of bathroom wisdom on me — number one — don’t use white grout on the floor. It isn’t just Pam who has been warning me away from white floor grout. Several readers have also recommended to use a dark grout color — not only for ease of cleaning — but also to help the light colored tiles really pop. After contemplating all their advice, I agreed to break my previous white grout on the floor cycle — and go with a medium grey. Which grout type to choose: sanded, unsanded, cement or epoxy? Next came the research into which type of grout to use. If you’ve looked at grout before, you probably know that there are sanded and unsanded grouts — and that decision really comes down to the size of your grout joint and the type of tile being used, meaning your tile selection and desired spacing basically dictates that choice for you. 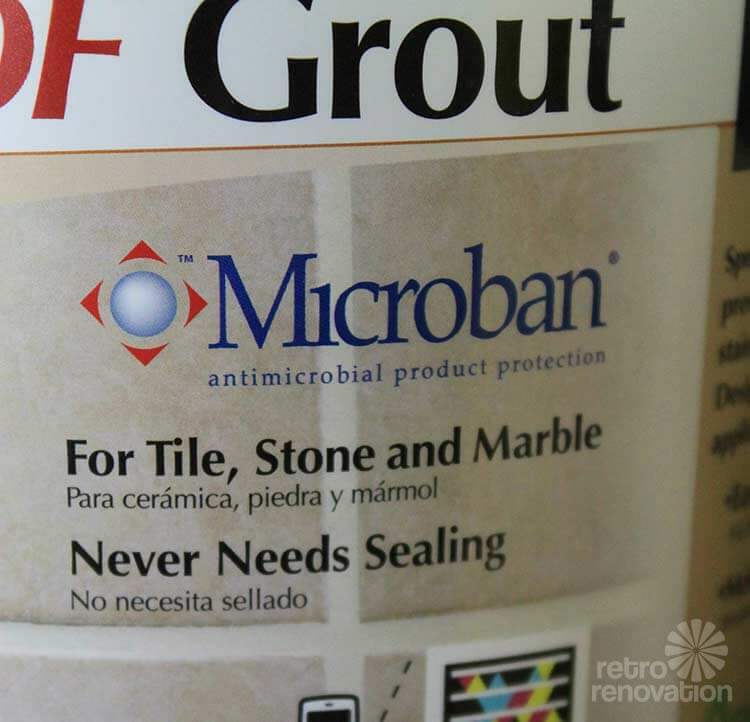 My dilemma came down to another lesser known, grout decision — to use traditional cement grout or epoxy grout. (*affiliate link), which I chose because it claims to be the easiest epoxy grout to install and my father has used it before with great results. Regarding epoxy grout: I was terrified that the glazed texture on my mosaic floor tiles would “hold onto” bits of the epoxy grout and make it difficult or impossible to fully clean the tiles, resulting in a ruined floor job. Feeling “darned if I do, darned if I don’t”, I considered the main benefits of taking a chance with the SpectraLock — my color would be even and I would never need to seal it. After all of the time I’ve spent working on this bathroom so far, the idea of having to seal the grout every year or so didn’t excite me. Finally, after many restless nights, I summoned the courage to try the SpectraLock epoxy grout in my bathroom. 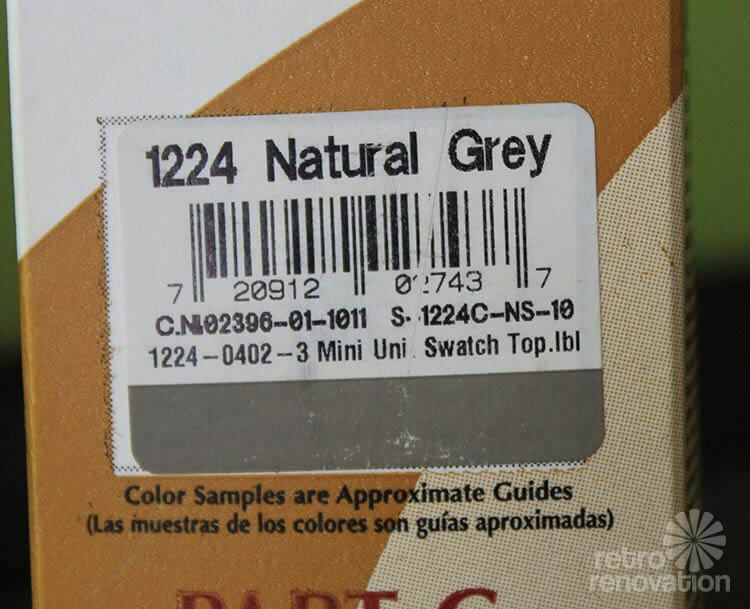 Without being able to see any actual samples of the grout colors (besides online and what was printed on the package label) I was nervous about picking exactly the right color grey. 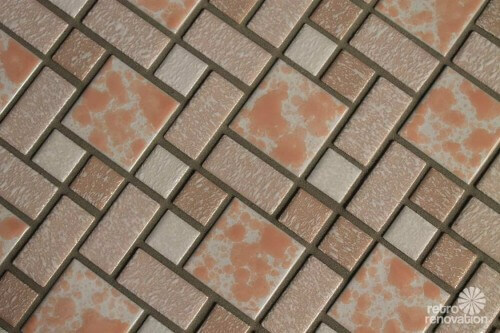 After researching comments and reviews online from people who had used SpectraLOCK grout colors in their tile projects — I discovered that the grout often is slightly lighter than the color swatch on the package, and that the color darkens as it cures — meaning the initial color when mixed won’t be the final color. 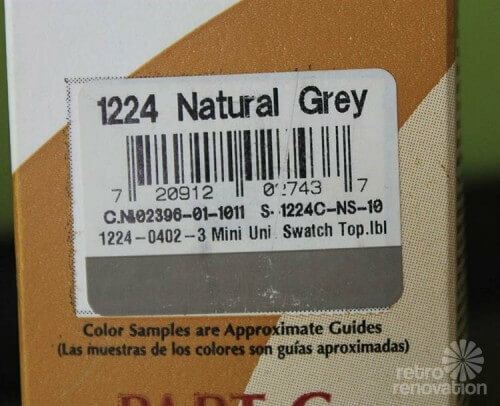 Taking these bits of knowledge into consideration, I decided on Natural Grey — which seemed to be a nice warm, mid to dark grey on SpectraLock’s color chart. On the day of the grout installation, I was shaking in my boots. I read and reread the install instructions and made sure everything was ready. Taking Pam’s advice, I had prepared a sample tile board with leftover floor tiles so I could test install the grout for both color and ease of removal from the tile’s tiny bumps. 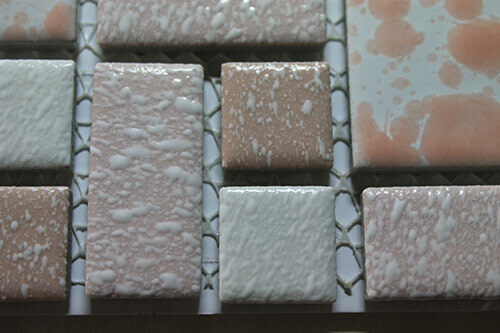 I took a deep breath, mixed up a batch of the grout, and tried it on the sample board. To my delight — success! Knowing the color would dry a few shades darker, and noting that the grout didn’t stick in the tile ridges (probably because of the high gloss glaze) I began grouting the bathroom floor. When installing epoxy grout on mosaic tiles, use an epoxy grout float, held at a 90 degree angle and draw diagonally across grout lines to squeegee excess grout off tiles without removing grout from the space between tiles. (*affiliate linke)(shown above) to install the grout instead of a regular grout float. 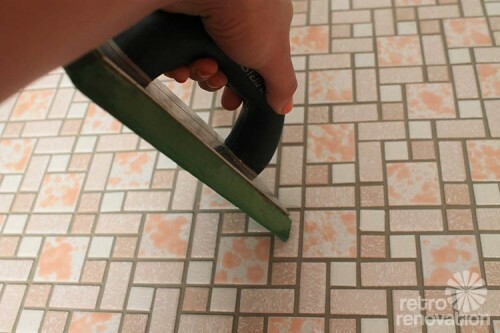 The epoxy grout float is heavier and more dense, which helps it act as a squeegee and get much of the excess grout off the tile with the float, leaving less to wash off later. The grout does not stick to the epoxy float — not a problem when working on the floor, but I could see installing it on walls or ceilings would be more difficult. 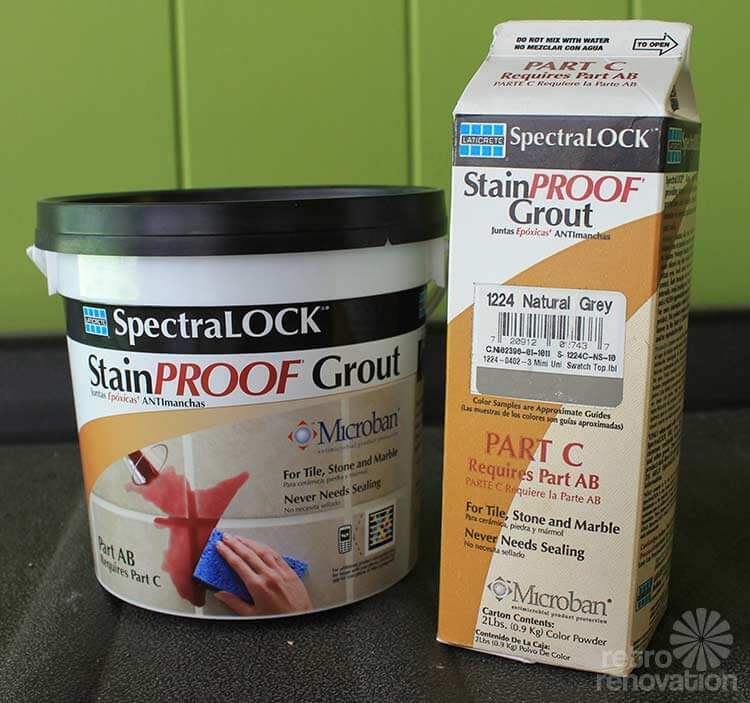 The SpectraLOCK epoxy grout does get harder to work with as time progresses, for best results, use two hands to pack the joints with grout and work quickly. I found that I had about 30 minutes from mixing the grout to the first wash (it was 77 degrees in my bathroom — grout hardens faster in warm temperatures). Since the buckets are small, I did not find myself wasting grout, but you need to mix a lot of batches to do the whole bathroom floor. Plus, grouting the floor felt like a total body workout. Coverage depends on the size of your tile and grout joint. For my project, each mixture of grout (Parts A&B + Part C colorant) covered about 8 sq. ft. Each mixture cost me about $24 and I used 8 units, for a total cost of $192 — not cheap. In the end, I am very satisfied with the finished look of the SpectraLock epoxy grout. Having installed traditional grout before, my opinion is that the SpectraLOCK epoxy grout is no more difficult to install (at least on a floor) than traditional cement grout when directions are followed and proper and thorough cleaning is done. However, I’m sure the type and size of tile that is being grouted (as well as the finish) plays a huge part in my assessment. 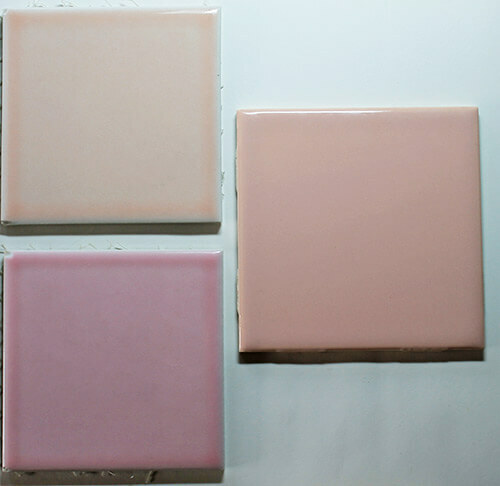 I am contemplating also using SpectraLOCK to grout my pink tile walls, but am worried about working with smaller grout lines on a vertical surface during the install. 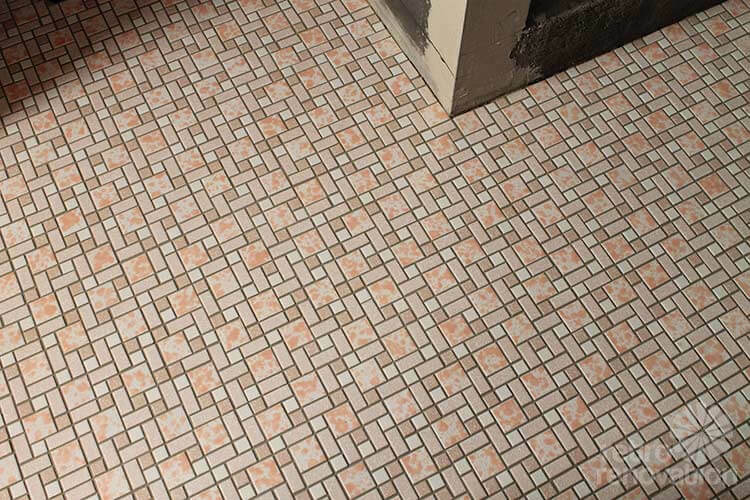 Putting aside fears of grouting the wall tiles, I can say that I am in love with my retro pink tiled floor. The dark grout looks fabulous, and really does allow the light colored tiles to stand out and shine. 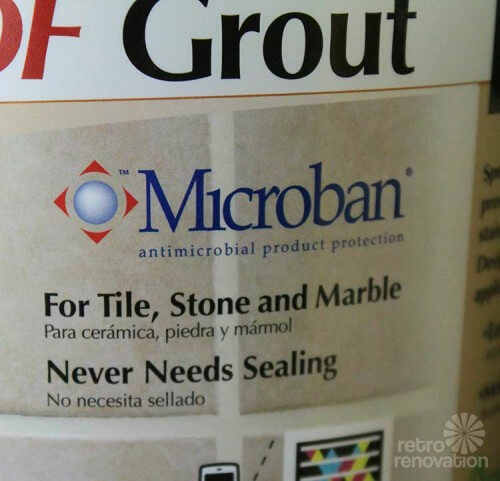 Readers — have you used dark grout — or epoxy grout — on a bathroom floor before? 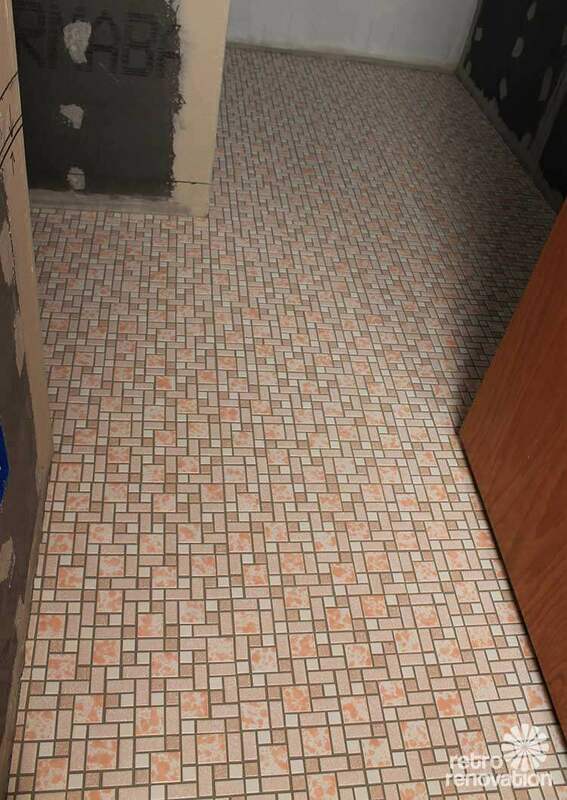 What are your thoughts on my finished retro tiled bathroom floor? Your hard work paid off. Nice job! Great job, Kate. I think that you will be happy with choosing a lower maintenance product for many years. I also recommend a good steam cleaner for tile. I love my Ladybug steamer. 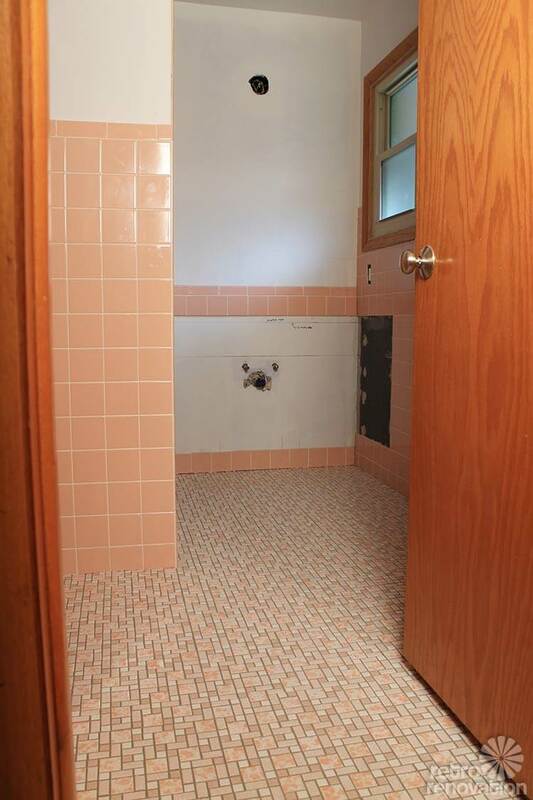 Your tile looks great. The internet makes it easier to research choices, but sometimes we can just agonize forever about the “right” decision. You did a great job sorting out the options and making a good choice. 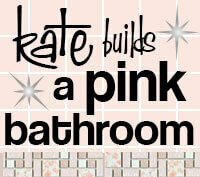 Looks fabulous, Kate. 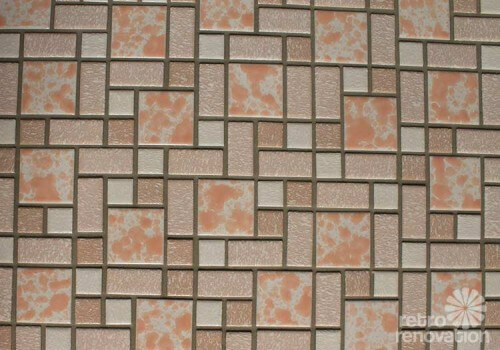 The grout color on my Merona University Pink bathroom floor tile seems identical. Don’t know whether they used traditional or epoxy grout, because I wasn’t here. But I think if we have to regrout at some point we’ll use the epoxy. Again, kudos on the great job. I think the color is perfect. 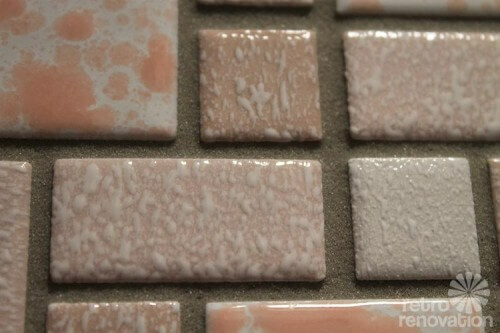 The gray color gives them a little built-in patina; the tiles will truly look like they’ve always been there. My parents’ one remaining original bathroom floor – same pattern but completely flat, low gloss tiles in an even yellowish cream color – has similarly colored grout now that it is 62 years old. Kate illustrated a natural approach to decision making that can lead to poor decisions, as well as part of the cure for it. When faced with a list of pros and cons, if the list of choices is short, we are usually good at assessing the relative weight of both pros and cons. However, if we have more choices, we tend to focus on the cons (as Kate almost did) and discount the pros. This means that people are actually likely to make poorer decisions with numerous choices, and to knock out candidate choices for very small negative reasons instead of focusing on the pros. SO! Experts on decision making suggest that once you’ve made a list of pros and cons and have your candidates, you do the following: (1) Only knock out candidates for a con if it’s a true dealbreaker (sanded/unsanded grout choice) (2) Weight the pros–that is, list most important advantage to least important advantage separately from the candidates themselves, using a simple scale (10 advantages you are considering? Most important is 10, least important is 1); (3) Notice if there are one or two dealmakers (e.g., “must come in a color I love”) and eliminate candidates that don’t, (4) Add up the “weights” for each candidate and eliminate all but 2-3 choices (5) reconsider finalists based on pros and cons together. Great for choosing between houses/apartments, between jobs, and many of my renovation decisions get this treatment! Very interesting — thank you! I think that Kate got to her right place — the epoxy grout will likely be very durable, the color was right, and it turned out that it was not too hard to apply. Yes, that is very interesting! In this case, the deal breakers for traditional grout — possible efflorescence and maintenance over the years — much outweighed the extra cost and effort to purchase and install the epoxy grout in my book. That’s how I finally decided to go with the SpectraLOCK.